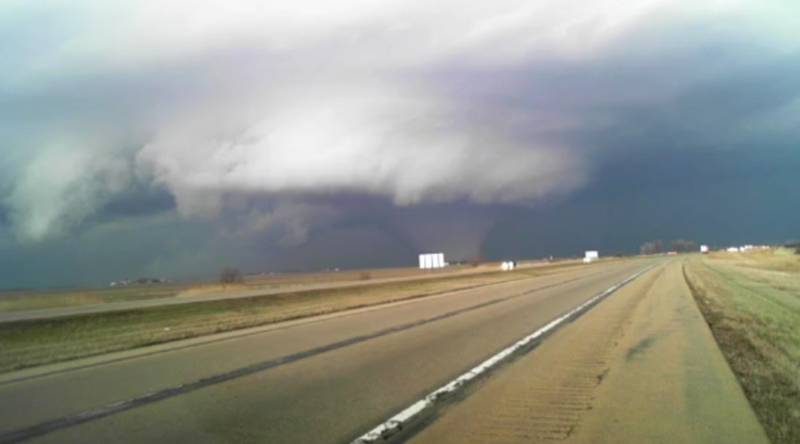 Tornadoes Doing Damage in Northern Illinois! As of 7pm, tornadoes are in progress in northern Illinois right now. A tornado is reported on the ground doing damage near Rockford, IL. Another confirmed, large and dangerous tornado was located west of Hillcrest, IL. Here is a radar image as of 658 PM for the storm headed toward Harvard, IL. ← Midwest Severe Weather Threat Increasing!